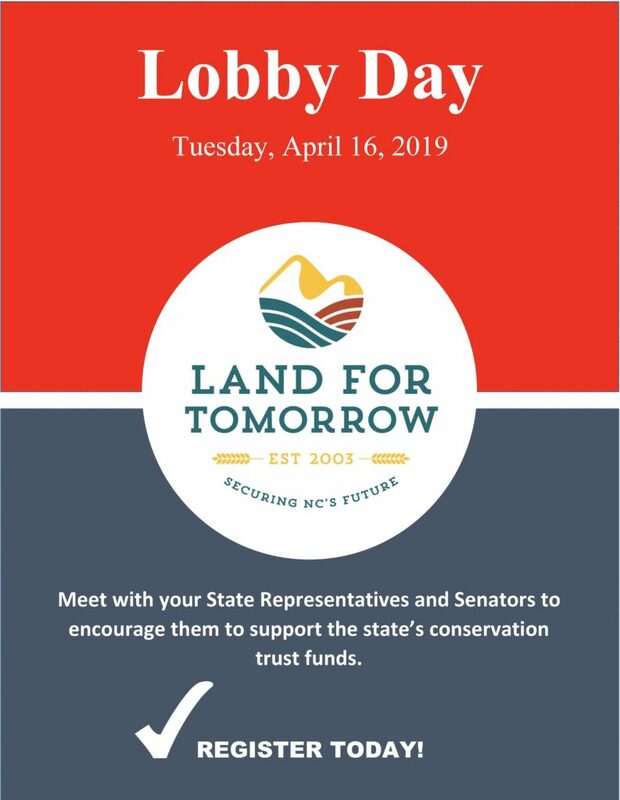 Land for Tomorrow will host it’s annual Land and Water Conservation Lobby Day on Tuesday, April 16. NEW MORNING LOCATION! Lobby Day will begin with a Welcome Briefing at the NC Museum of Natural Sciences, 11 W. Jones St, Raleigh, NC 27601, 4th Floor Environmental Conference Room. We will again offer a Pre-Lobby Day Orientation Webinar to be held on Friday, April 12 at 11:00 am to prepare our advocates with guidance on Land for Tomorrow’s 2019 legislative agenda and to answer frequently asked questions about the event. We look forward to having you join us in Raleigh to advocate for land and water conservation that’s critical to your organization and region of the state.